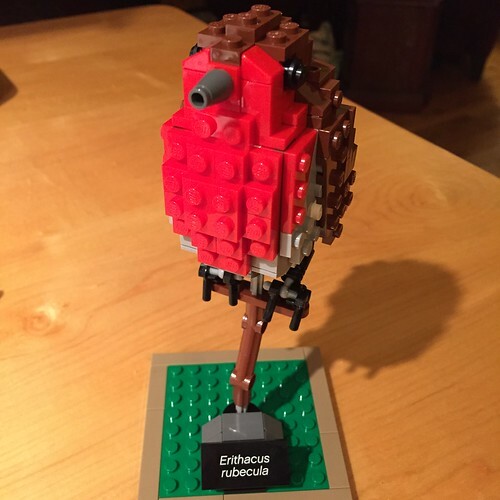 Fans of cool things sometimes come up with even cooler things, and not all master builders work for Lego. 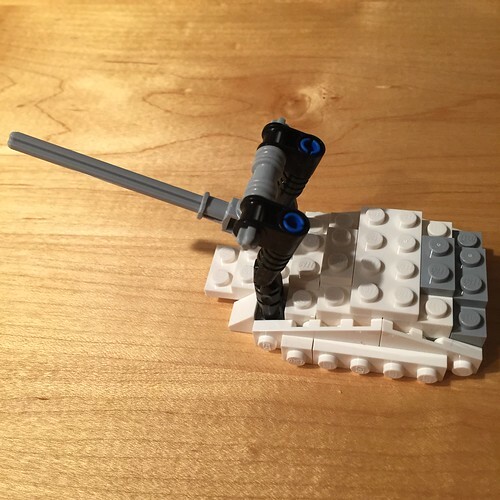 This is the concept of Lego Ideas. 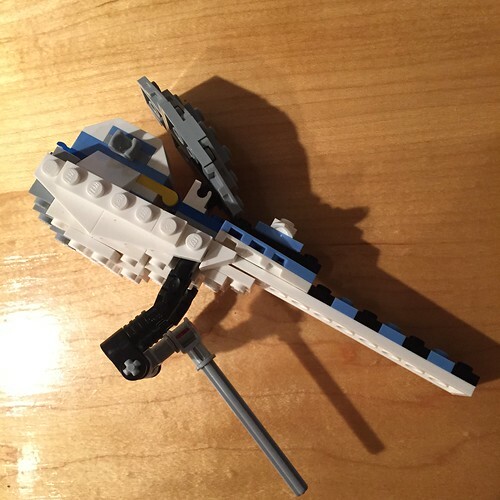 Creators can submit projects to Lego for the chance to have them made into purchasable sets, if they get enough interest and votes from the Lego-loving public. Past sets include The Delorean Time Machine set and the NASA Mars Science Laboratory Curiosity Rover (both of which have taken up residence in New Googington). 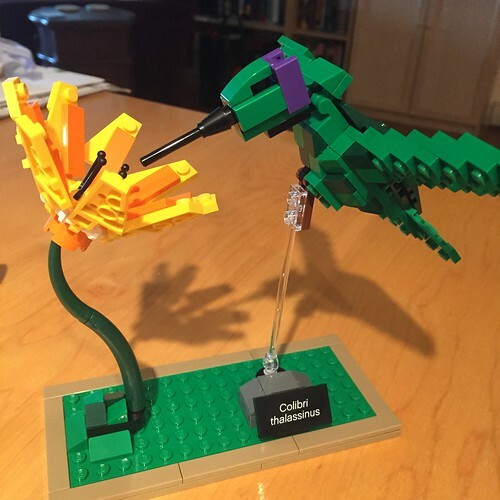 Unfortunately I have not been able to get my hands on the coveted Lego Institute set which sold out the moment it became available for purchase. This is great for showing there is an interest in sets that represent women in science, but less great for me. 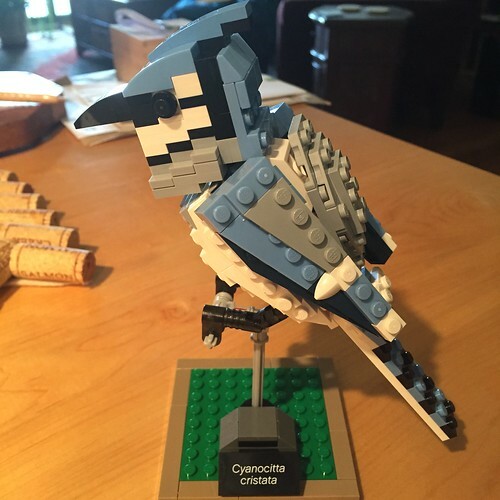 That said, this program keeps cranking out interesting sets and the most recent project is great for Lego fans, nature lovers, and bird enthusiasts. 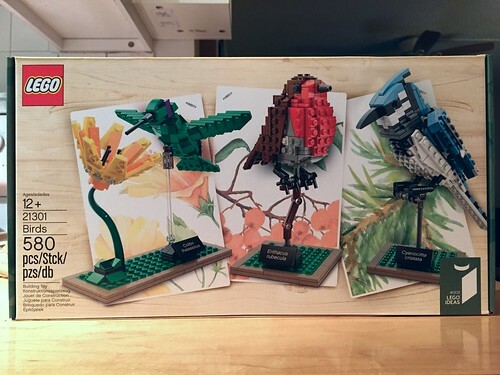 The Lego Birds set gives you the opportunity to build 3 realistic birds, a Robin, a Blue Jay, and a Hummingbird with flower. Bang for your buck: This set retails at $44.99. In Lego world that’s pretty reasonable, especially for what you are getting. Completing one bird a night gave me 3 days of fun out of this set, which is pretty good if you ask me. And because these builds are a bit more complicated, for me at least, I felt like I could pace myself a little more easily. Plus there are natural built in stopping places. 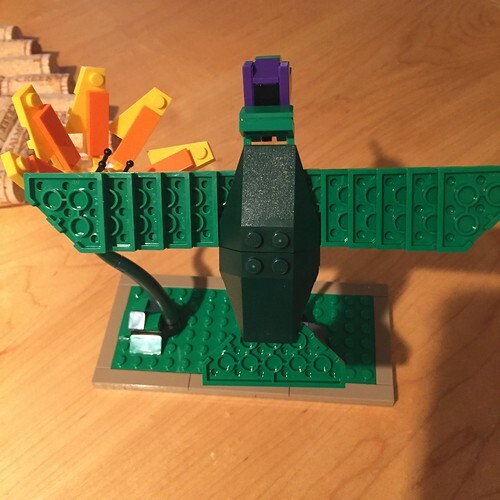 What you get: The set comes with all the pieces (and then some) that you need to build your birds, of course. This includes a different style stand for each bird and little plates with their Latin names. What's different about the Ideas sets is that the packing and instruction books are much higher quality. 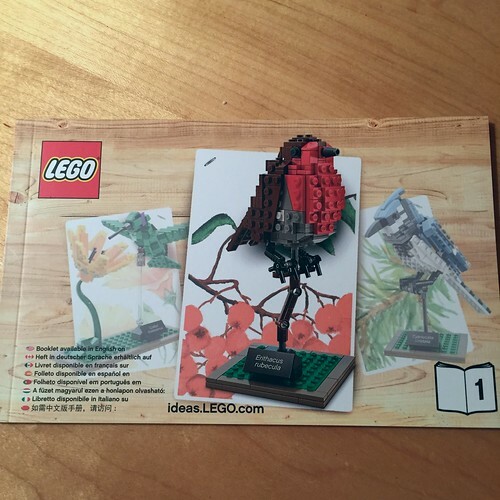 Each bird has its own bound booklet that contains not only instructions, but also information about the creator of the set and his inspiration. There is also some basic information about the birds themselves. I think this is a great little extra. Building the sets: The thing I liked best about this set was that each bird was constructed in a different manner, and the direction you are headed is not always apparent. That said, all these builds are what what I would call “careful builds.” This means lots of little pieces and details. But it’s those things that make this set fun. Robin- The first bird I tackled was the Robin. 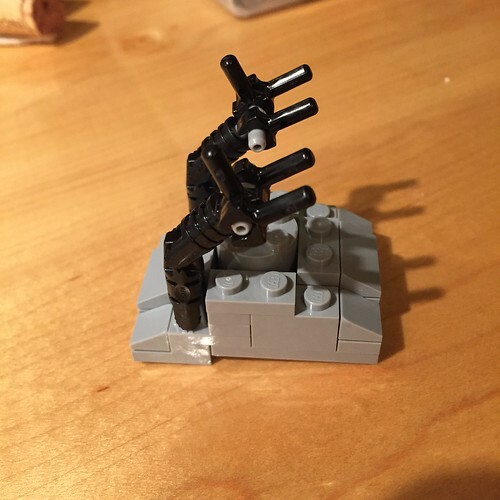 All the birds start with making the stand. 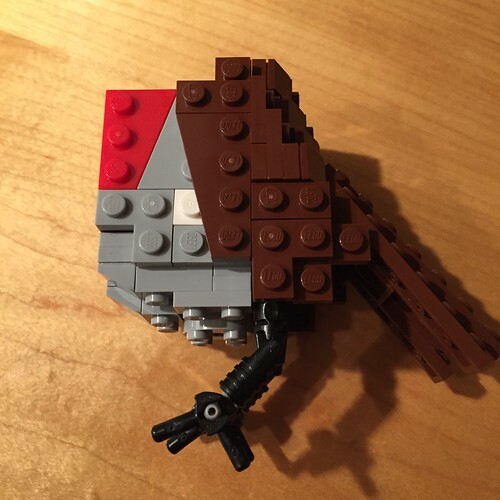 The bird itself was sort of a bottom up build, that resulted in a very sold, sort of round little bird. The studs are the most obvious in the robin, which I think gives it a little more of a fluffy textured feeling. 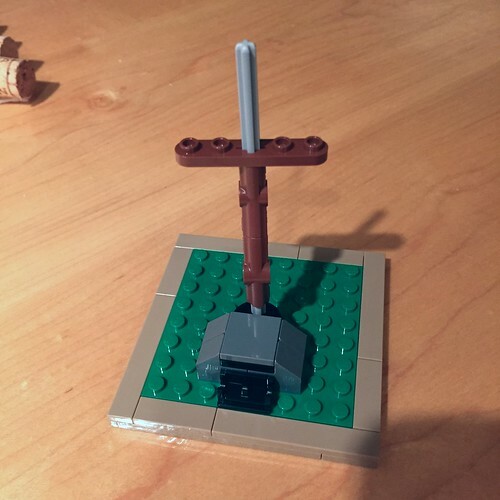 The pole it sits on is a little wiggly, but it also spins for display purposes. 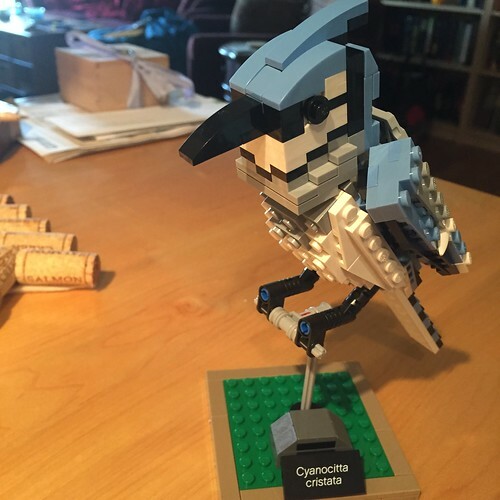 Blue Jay- I think this bird has the most interesting details and looks the coolest. For the build, you start with the bottom and kinda go sideways. 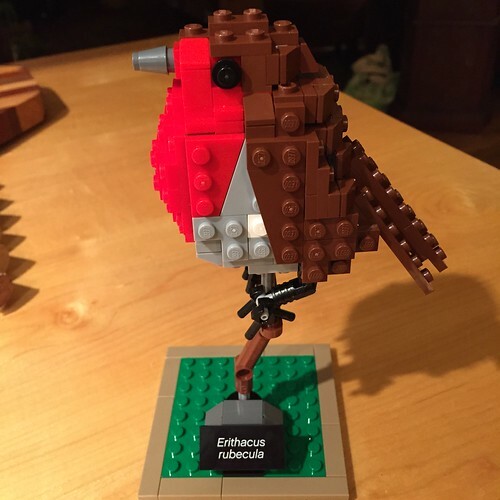 Of all the birds it probably has the most mobility since the wings are on ball joints. 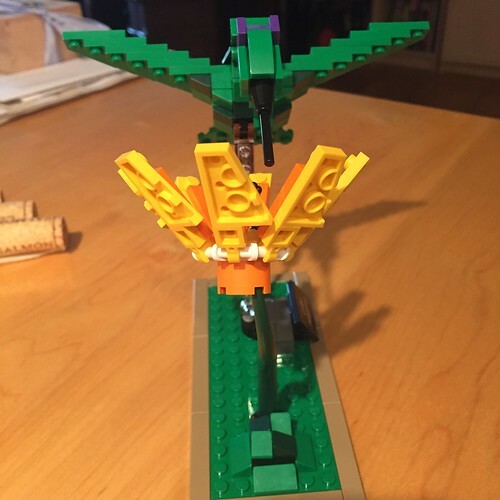 You can't move them a ton, but the wings can be extended a little bit to give the feeling of "about to take flight." Final Verdict: While there isn't a lot of "playablility" in this set, it's still pretty great. The birds are lovely and fun to make. 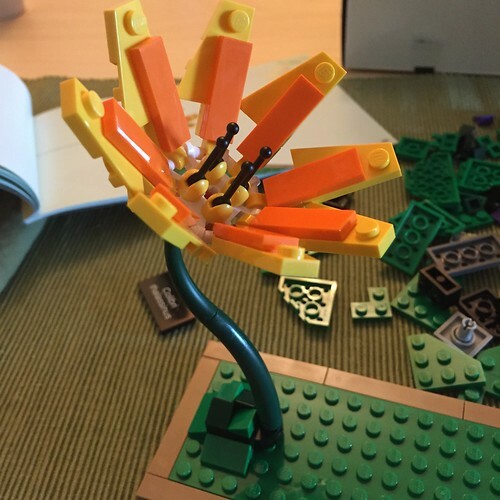 They feel a bit more artistic, like something you might see at a Lego exhibit. With the stands and name plates, these birds are a great display item and are a nice change from the licensed property sets.